A while back when I had my epic Christmas scrappy failure, I took all the pieces, sorted and saved them. 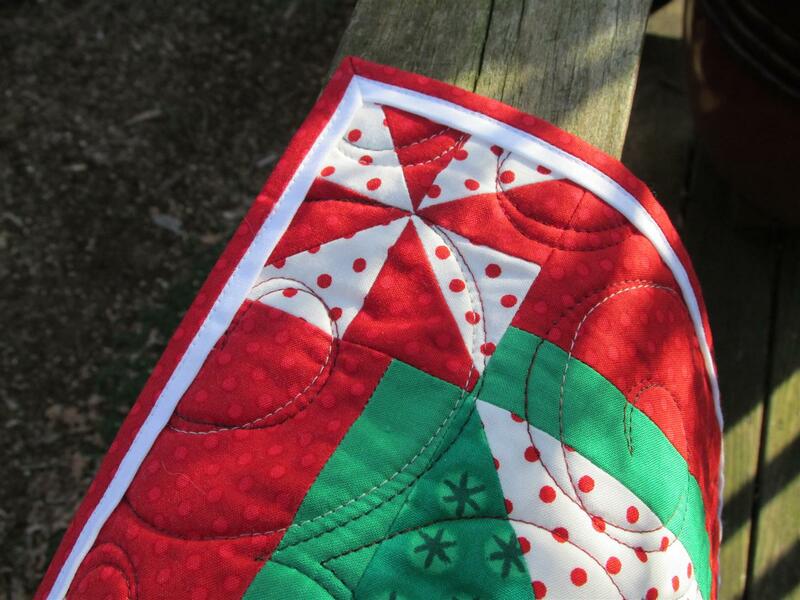 There were several pinwheels that were large enough and would go together for a small quilt. 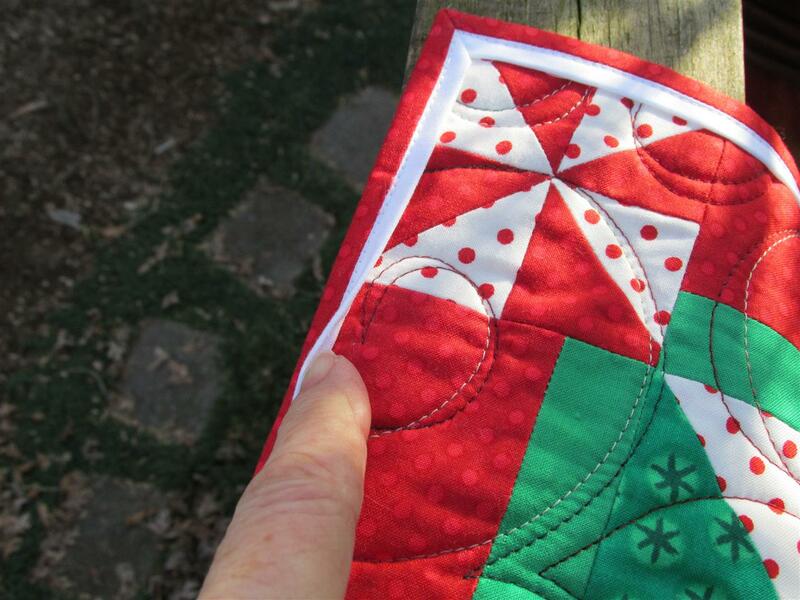 Now, I have wanted to make a Christmas quilt for me for a very long time and this is NOT it! 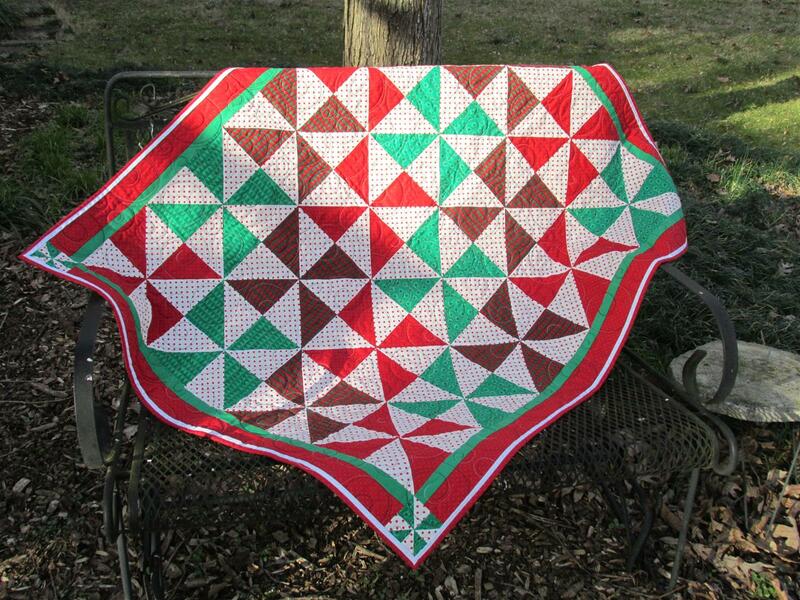 This is just a little holiday throw that will look good thrown over the bench in my living room. It is nice that my husband really likes it. It also felt good to use these and save some of my failure. The green in the pics looks more turquoise, but in person it really is green and all looks very Christmasy. The borders and corner pinwheels helped a lot. I also used a magic binding which forms a flange while sewing the binding on by machine, both back and front. (Happens to be my new favorite way of putting on a binding). What is also great, it is another UFO finish for my guild’s challenge. I now have 17 of the 20 finished! Three more to go and I am determined to get those done by the May deadline. And yes, I do have additional UFOs and am sure to start a few more! 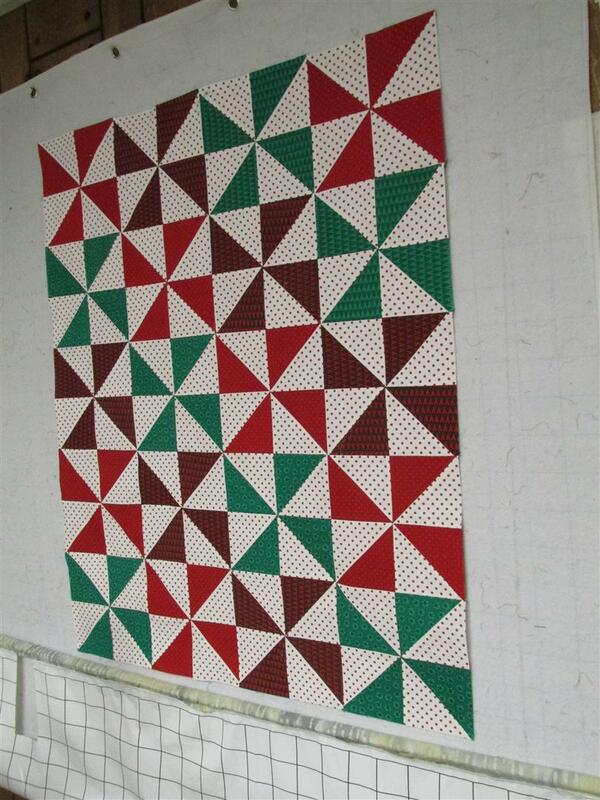 Posted in Fabric, Quilting, Scraps, Stash and tagged challenge, Christmas Quilt, Color, Quilt. Bookmark the permalink. love this quilt!!! enjoy your retreat..will try to get in next year.